Recognising Andrew Fairlie’s significant and lasting contribution to the hospitality industry, Hospitality Industry Trust (HIT) Scotland have today unveiled details of the inaugural Fairlie Scholarship, a career changing opportunity for aspiring chefs in Scotland. 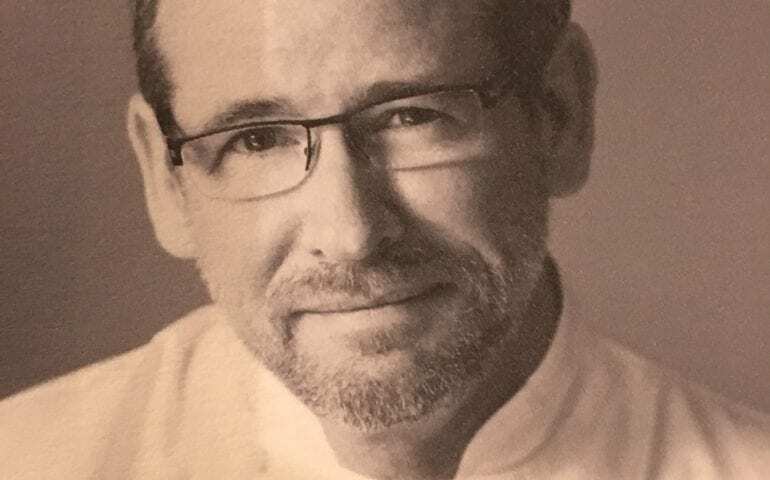 Launching at the HIT Talent Conference 2019, the Fairlie Scholarship has been in the planning for some time with the late Andrew Fairlie spearheading the initiative in partnership with HIT Scotland – an industry charity he was closely associated with. Sponsored jointly by HIT Scotland, the Scottish Government and Gleneagles, and positioned as the ultimate scholarship any aspiring chef could receive, the Fairlie Scholarship will be awarded annually to a male and female chef in light of Andrew’s unwavering commitment to diversity in the kitchen. As the first, and youngest, recipient of a Roux scholarship in 1984, Andrew recognised the life-changing opportunity such an award will provide. It is hoped that the Fairlie Scholarship will complement the incredible Roux scholarship protocols with a Scotland focus. The scholarship, run through HIT Scotland, will recognise two outstanding individuals who are forging ahead with their culinary career and either studying and/or working in Scotland. The recipients will gain industry-wide recognition as Fairlie Scholars and experience once-in-a-lifetime opportunities such as a practical stage in an international kitchen, a placement at the Culinary Institute of America and at Restaurant Andrew Fairlie at Gleneagles. Michelin star chef Tom Kerridge will be involved in the judging process for this prestigious scholarship, alongside Masterchef winner and National Chef of Scotland, Gary McLean and other Michelin star chefs to be confirmed. The panel of judges will also include Stephen McLaughlin, Restaurant Andrew Fairlie Head Chef, Gleneagles’ General Manager Conor O’Leary, HIT Scotland Chief Executive David Cochrane and representation from the Scottish Government. In support of the Fairlie Scholarship First Minister Nicola Sturgeon said: “Andrew Fairlie was taken from us far too soon. Yet his contribution – to the food industry, and to Scotland – will always be remembered. And we are determined to ensure that his legacy endures. “That’s why the Scottish Government, the Hospitality Industry Trust Scotland and Gleneagles Hotel are creating an Andrew Fairlie Scholarship. Each year, it will give two talented young people – one male, and one female – the opportunity to train in top restaurants, make important industry contacts and learn from top chefs. Having worked closely with Andrew on the development of this scholarship, David Cochrane, chief executive of HIT Scotland, added: “In a world where honesty, integrity and sheer hard work to achieve success are not always apparent, Andrew Fairlie summed up these qualities in abundance and influenced many chefs locally, nationally and internationally. What will make the Fairlie Scholarship so unique to Scotland is the fact that it will be awarded annually to two chefs in Scotland – one male and one female. This reflects the huge amount of work that Andrew has championed over the years to ensure gender equality in his kitchen and the industry at large. To apply, potential candidates will complete an online application stating why he/she felt that they should be successful in winning The Fairlie Scholarship, this will then be followed by a shortlist of interviewees then a skills test would then follow to establish key skills that would be expected of a Fairlie Scholar. Eligible applicants can find out more information by visiting https://hitscotland.co.uk/scholarships/.